Asheville, North Carolina is a small town that’s become known for its big beer scene, thanks to trusted standbys like Highland Brewing and standouts like Burial Beer. And the city’s beer-scape is about to get even more interesting: The CANarchy Craft Brewery Collective, a group of independent brewers headlined by Oskar Blues, is opening a brewpub in downtown Asheville. CANarchy Craft Brewery Collective was founded in 2015, partially funded by a private equity firm. The idea behind CANarchy was to provide a platform for breweries looking for resources to expand and compete in the craft beer segment while maintaining their independence. CANarchy started with Oskar Blues and Cigar City, but continues to grow aggressively. Today, it’s comprised of seven different breweries: Oskar Blues, Cigar City, Perrin Brewing, Squatters Craft Beers, Wasatch Brewery, Deep Ellum Brewing and Three Weavers Brewing, which joined the CANarchy this past summer. By joining forces, the breweries involved have been able to reach new markets. 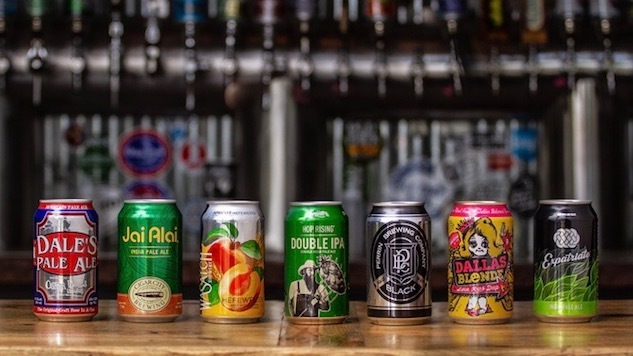 Cigar City’s Jai Alai IPA and Oskar Blues’ Pale Ale are now two of the highest selling craft can six packs in the country. As a whole, the Collective outpaced the U.S. craft beer segment in 2018, and is ranked by the Brewers Association as the 9th biggest craft brewery in the country. The Collaboratory will open in March 2019 after the space undergoes renovations to maximize the brewing capacity.